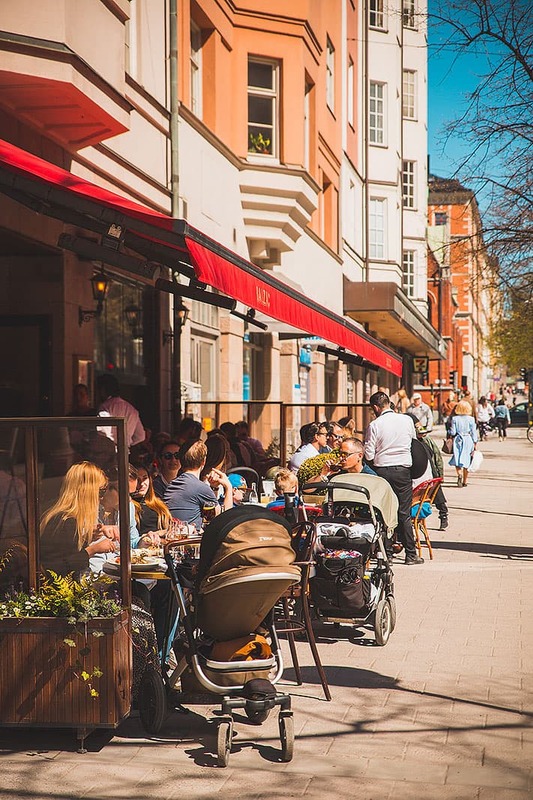 Stockholm offers a plethora of great lunch restaurants, but finding the right place in the midst of the lunchtime rush hour can be quite gruesome. 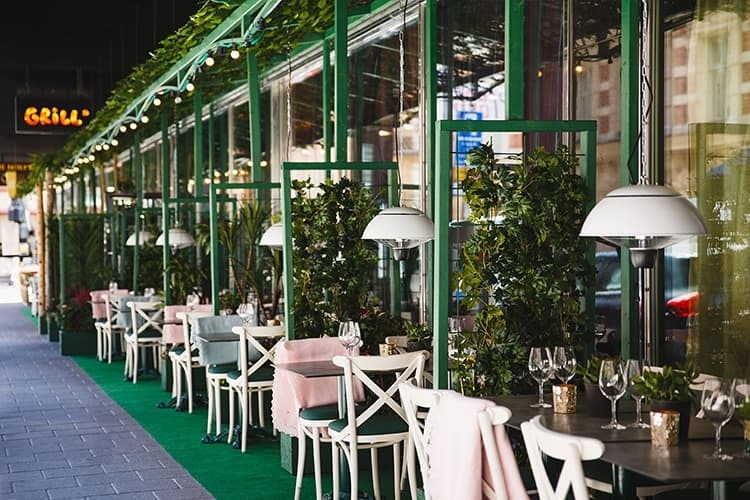 To make it a little easier, we’ve created this guide to the best lunch restaurants in Stockholm. Whether you are in the mood for a light salad or soup, or if you're looking for a slightly more substantial offering we've got you covered. 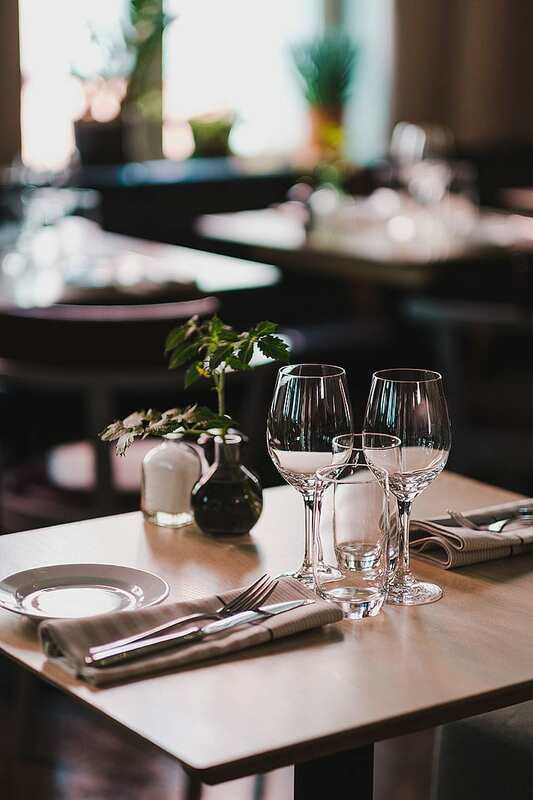 Our guide to the best lunch restaurants in Stockholm features restaurants that are ideal for a formal work lunch, casual lunch-date with friends as well as quaint hangouts for post-shopping nibbles. 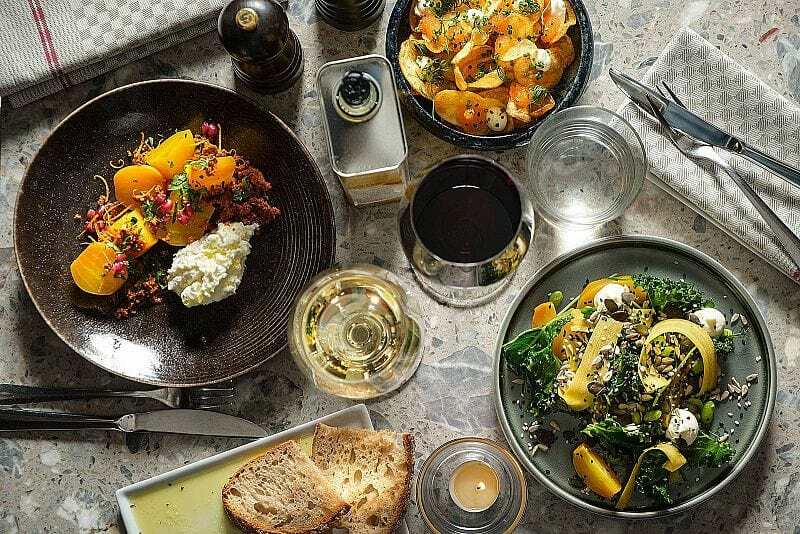 Broms' contemporary concept combines restaurant, delicatessen and bakery and is the neighbourhood haunt of choice. 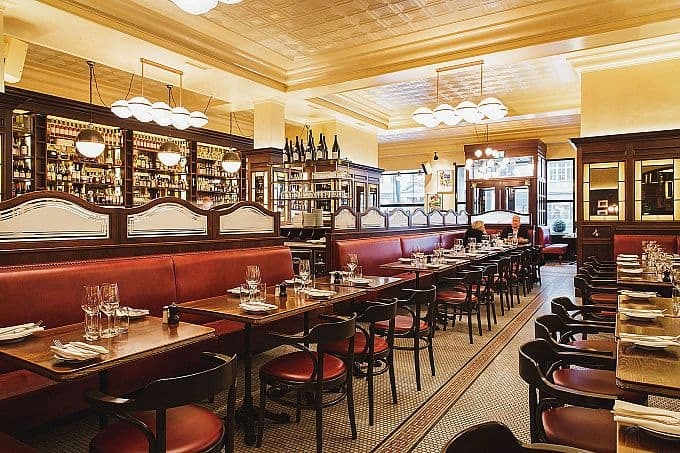 The kitchen draws inspiration from France, Asia and Sweden. The lunch menu offers French farm chicken, meat dishes, salads and light dishes. Regulars have been pouring into this modern classic since the late 80's. 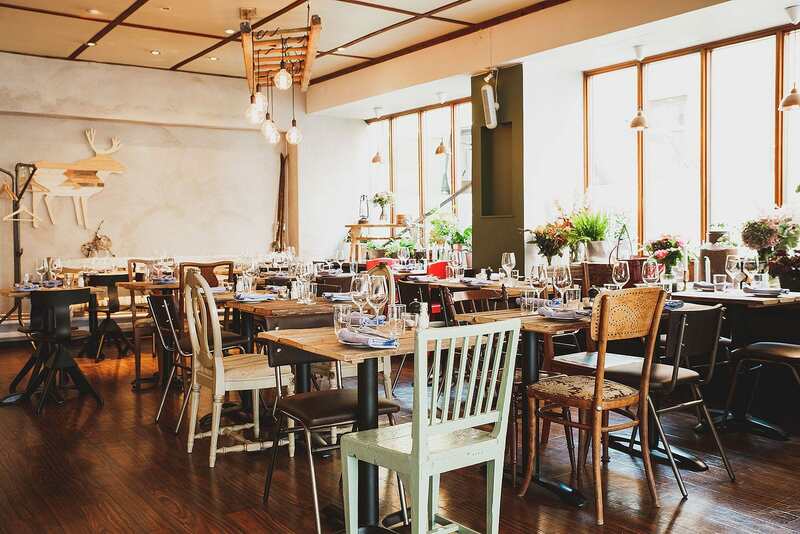 The open kitchen serves traditional, robust fare with Swedish undertones in a sophisticated setting. 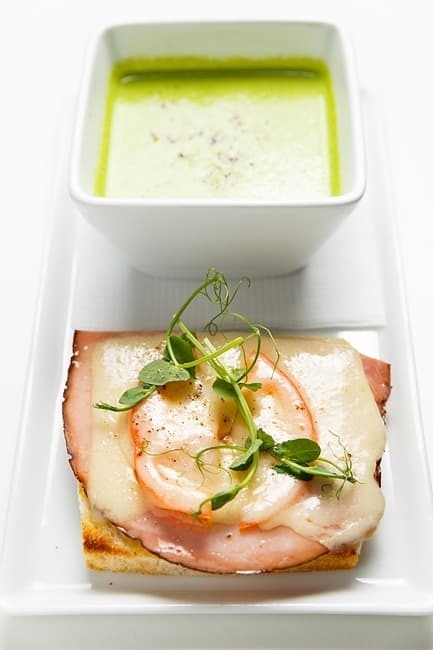 Lunch is a particularly popular alternative - perfect for lunch meetings. 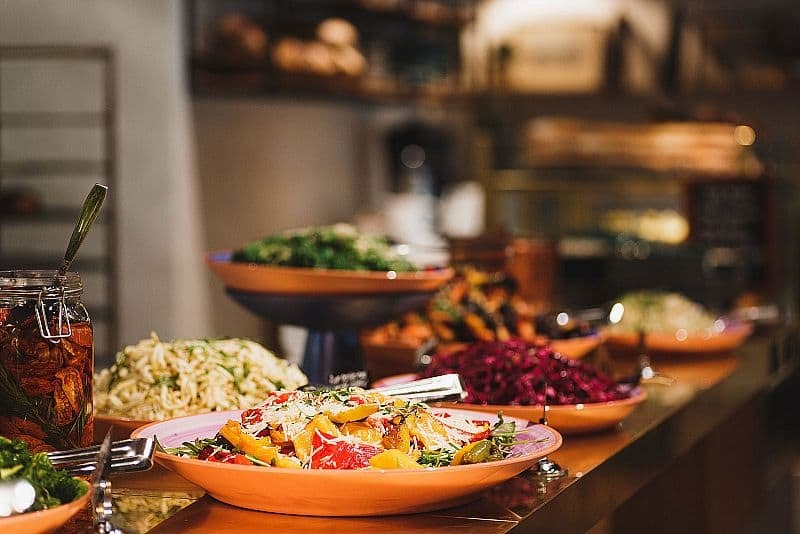 One of the healthiest and most fresh lunch buffets in town. Fish, meat and chicken dishes are laid out alongside salads, root veg, nuts and seeds on the buffet table; much of it organic and locally produced. The food is weighed at the till and paid for by weight. If you're a regular it's worth buying a loyalty card. 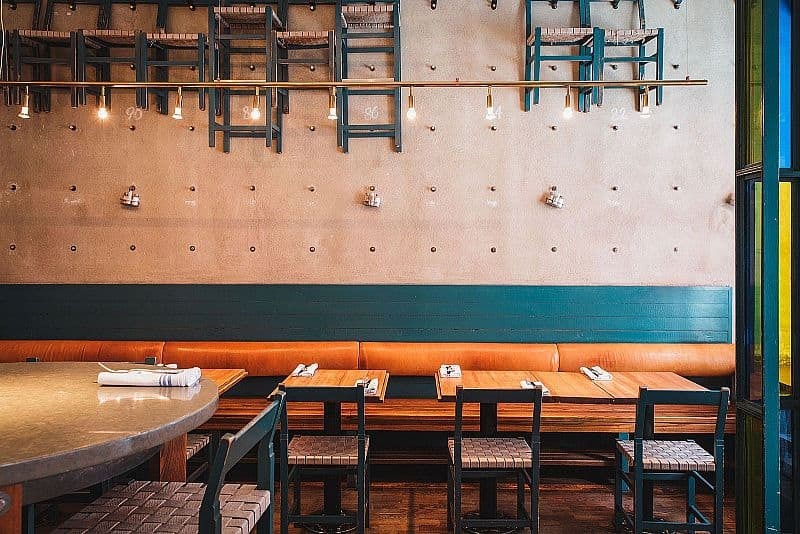 This eccentrically decorated, thematic restaurant fuses influences from around the world. The rustic lunch buffet offers fish and meat with healthy sides such as salads, legumes and root vegetables. The numerous rooms offer respite from the bustling city. 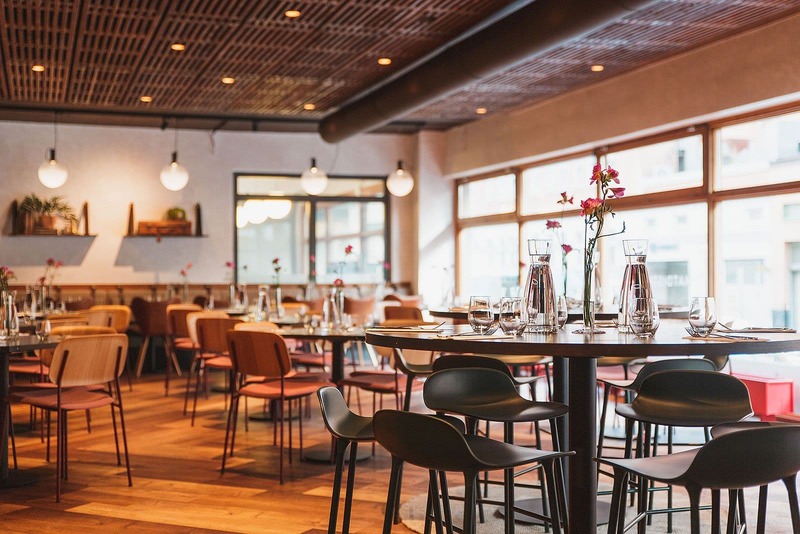 Nalen is an eco-certified neighbourhood restaurant on Regeringsgatan boasting a seasonal menu with emphasis on Swedish classic. 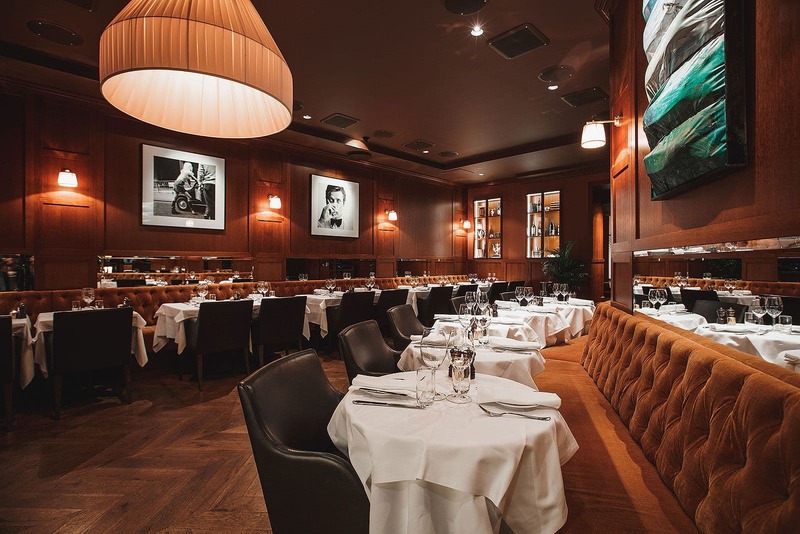 This sophisticated restaurant is ideal for a working lunch with colleagues and business partners. 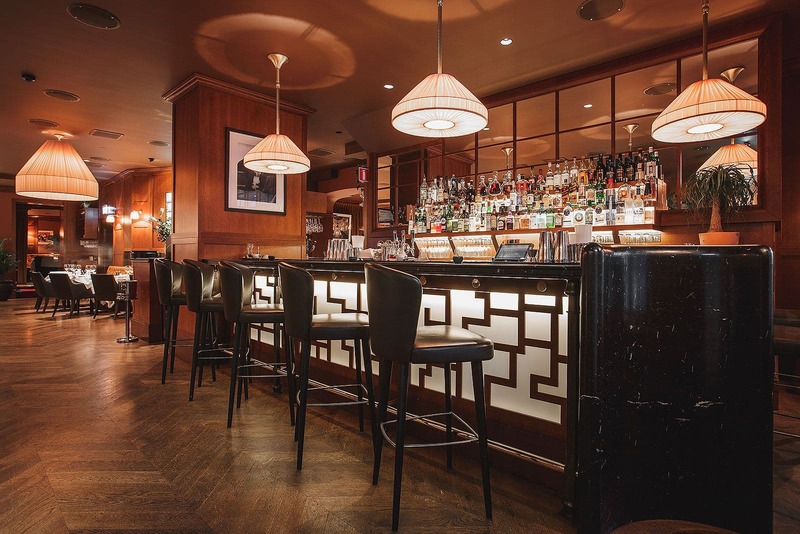 Book a private room for a more intimate rendez vous. 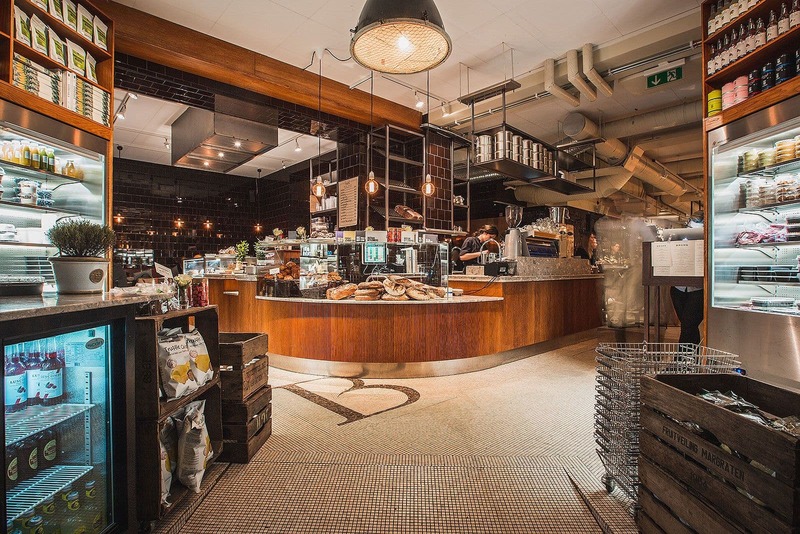 The mega ambitious "food stage" in Ringen shopping centre gathers some of the best chefs in Sweden under the same roof, serving fast food at reasonable prices. 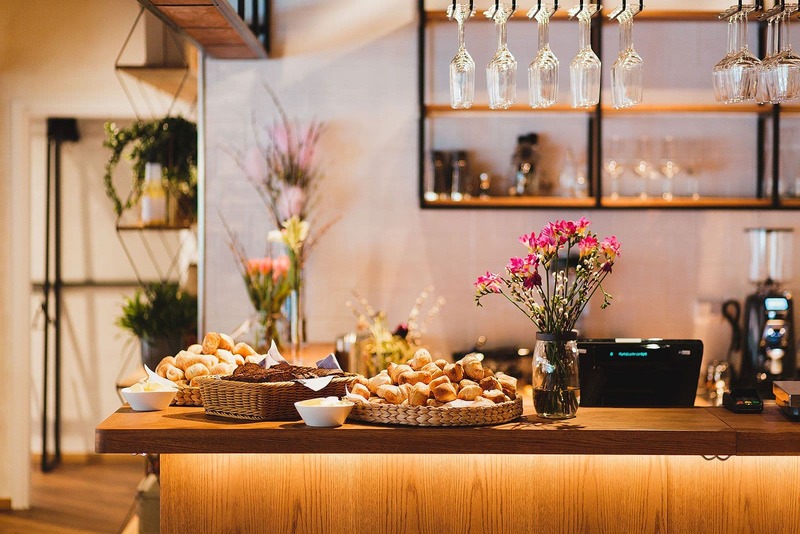 You'll find Daniel Roos' patisserie and Adam & Albin's noodle bar here, among others. 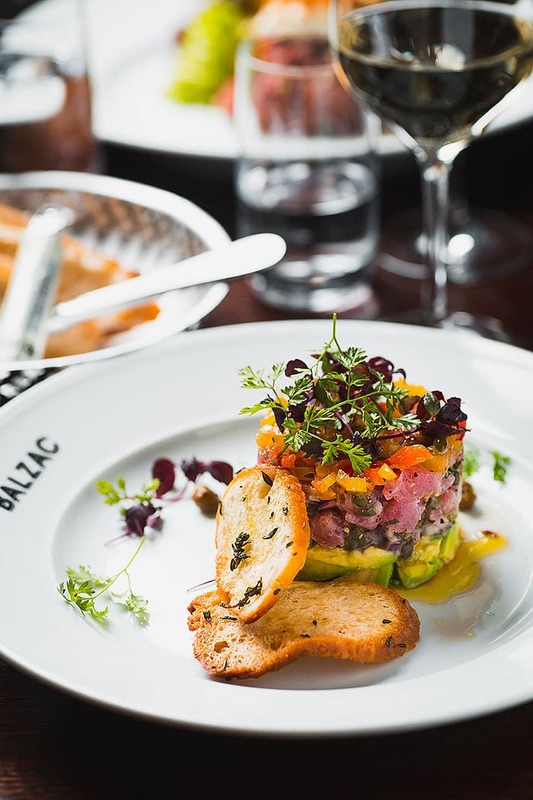 Brasserie Balzac in Vasastan is open for lunch every weekday. 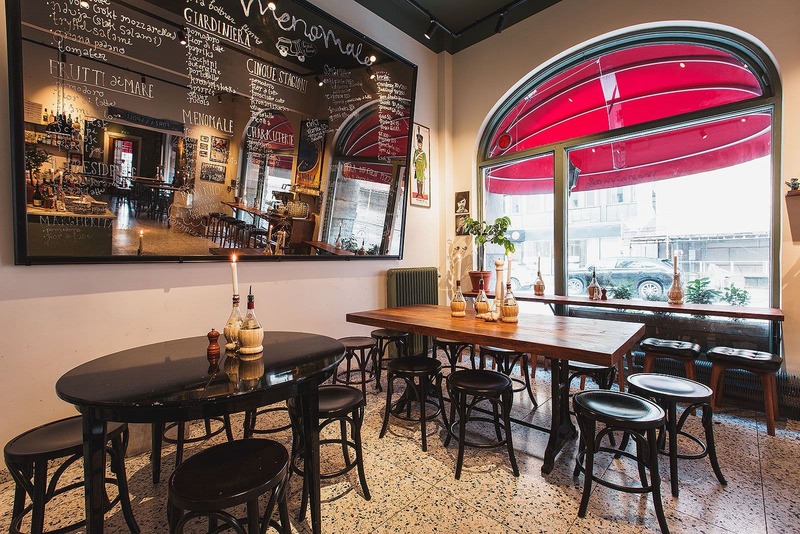 Pop by and enjoy garlic-gratinated snails or an omelette à la minute. 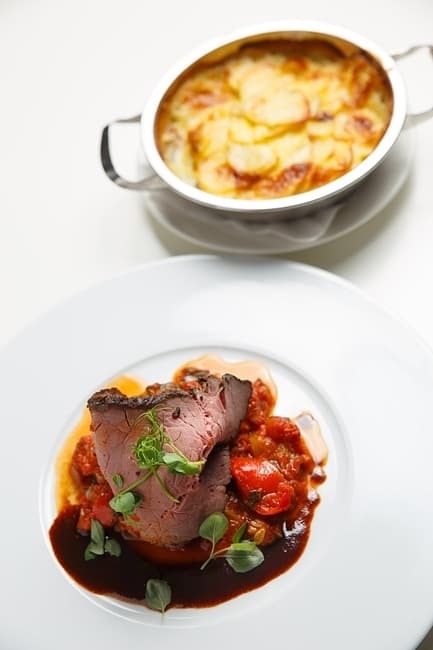 The lunch menu is extensive and filled to the brim with favourite French classic dishes. 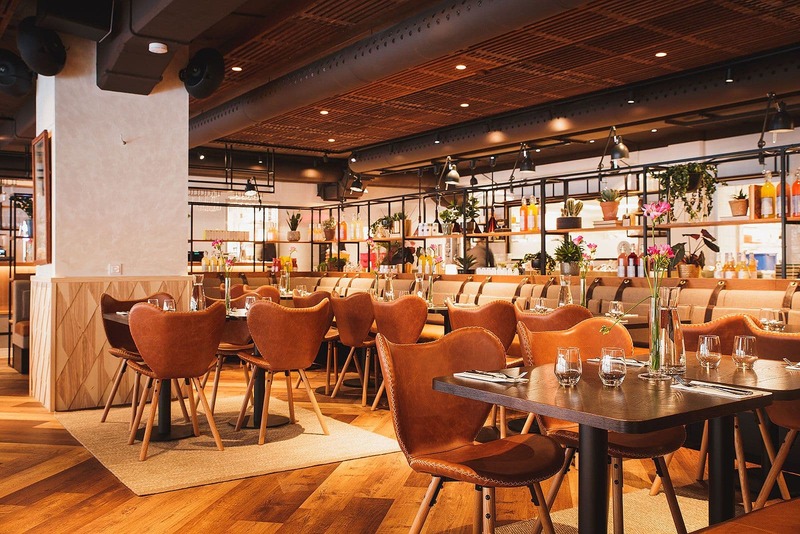 K25 is a central and modern food court combining culinary flavours from around the world. Can't decide what you are in the mood for? 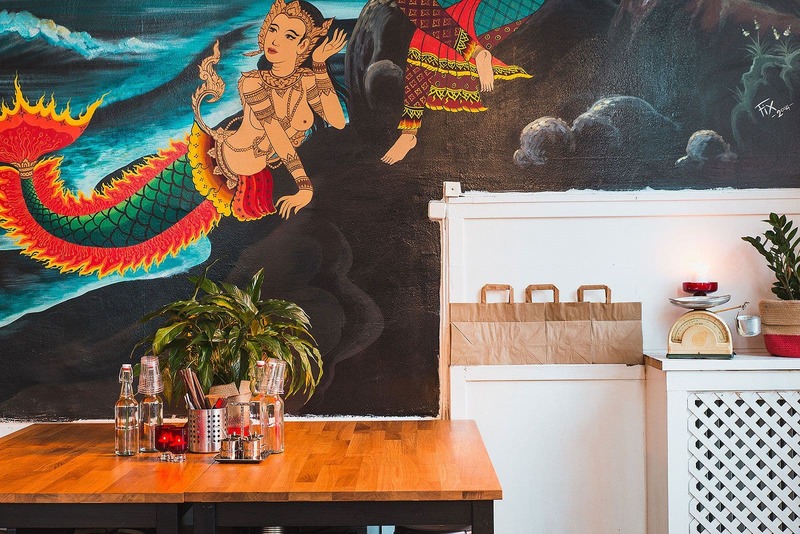 K25 offers everything from burgers to dumplings, baked goods, pizza and Asian street food. 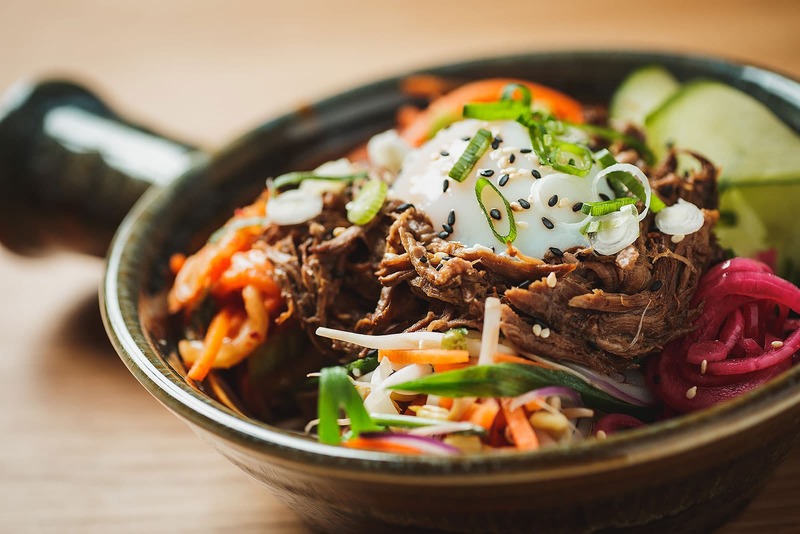 You can either eat on-site or grab a takeaway from for example Hattori Sushi Devil, Lilla Vigårda or Beijing8. Popular sushi, tuna steak and noodle soup are among the dishes served at this busy lunch bar in Hötorgshallen indoor food hall. Ambitions are a notch higher than the average fast food joint and it's worth coming early (or late) to miss the worst of the lunchtime rush. 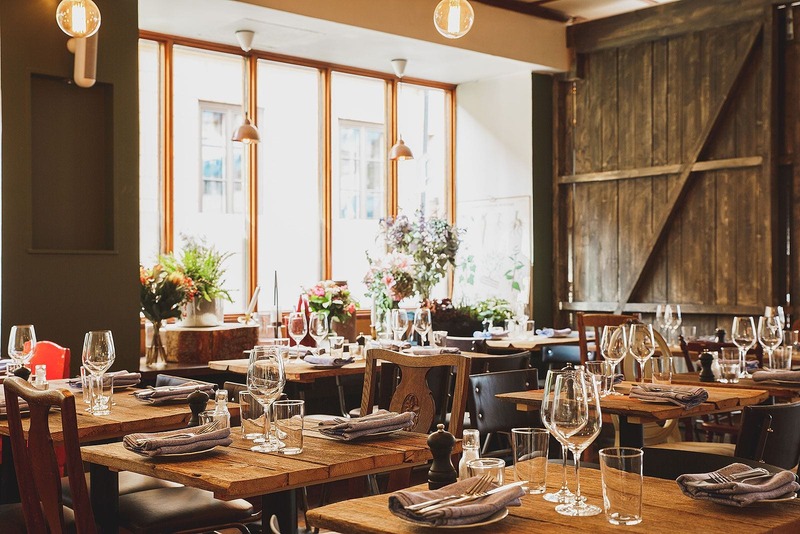 Tranan is one of Stockholm's most historic restaurants and a lunch visit is pretty much a must if you find yourself around Odenplan. 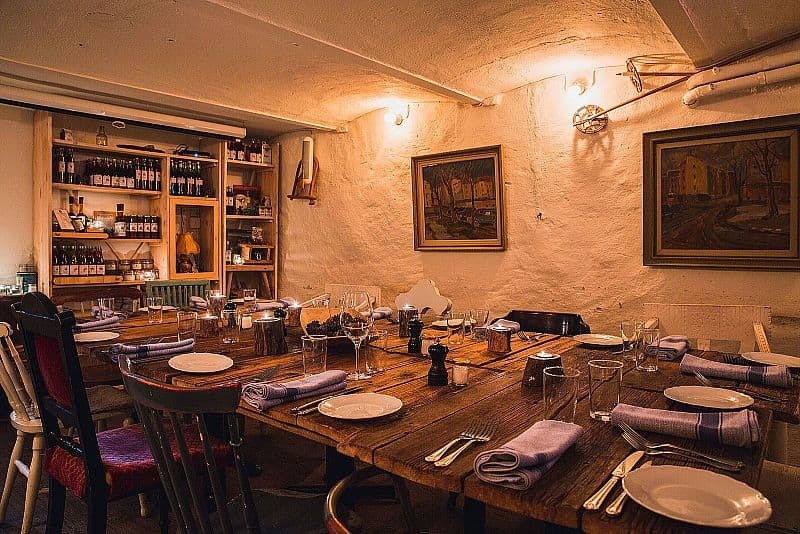 Book in for a business lunch or just pop by for a spontaneous lunch of the slightly smarter variety. 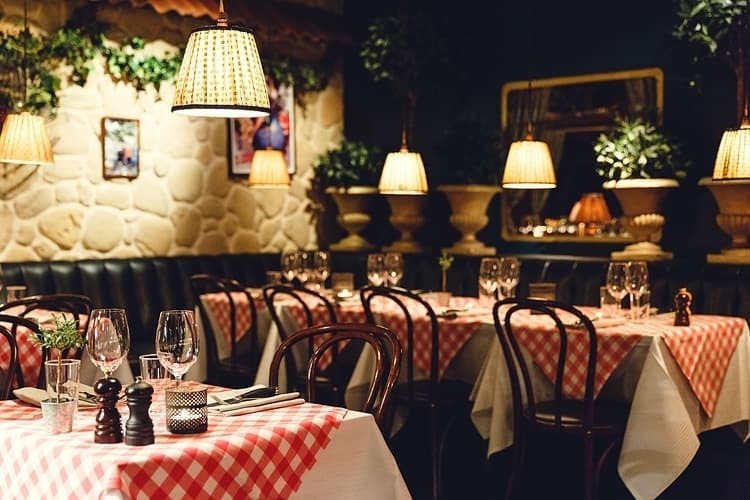 Classic restaurant near Dramaten theatre. 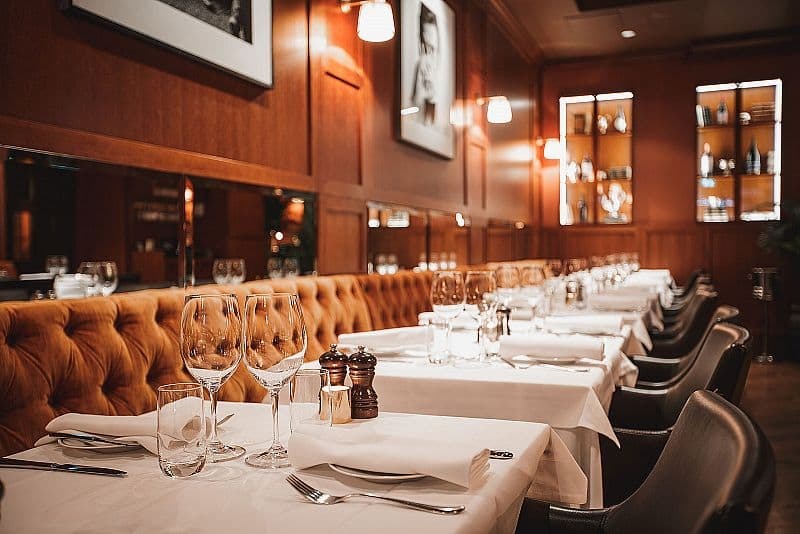 Perfect for a business lunch, but also for ladies who lunch, lunch à deux or a solo lunch at the bar. 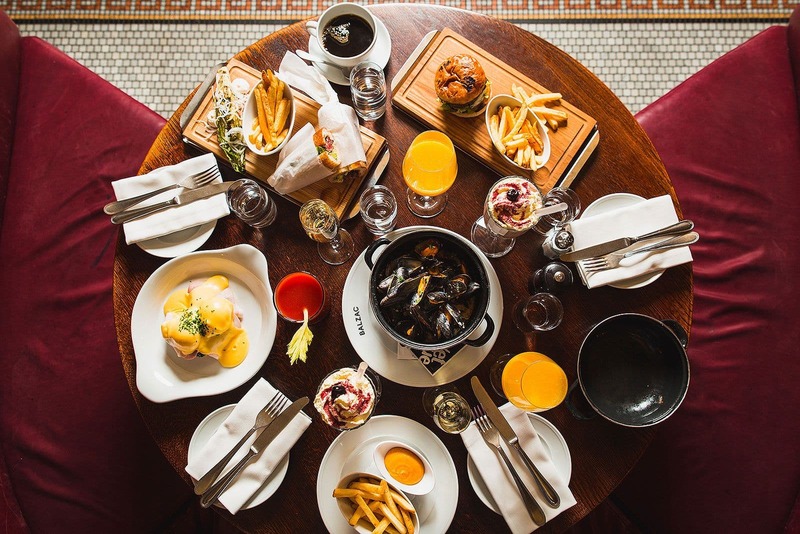 Bardot serves a French plat du jour and a Swedish lunch special that changes daily, and there's also an à la carte menu. 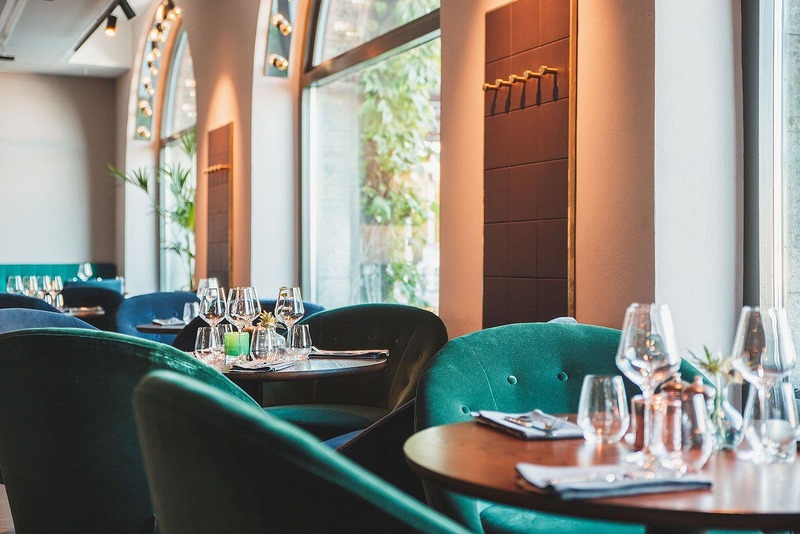 19 Glas is an ambitious restaurant and wine bar. Innovative, yet simple food is served affordable - fine dining-style. 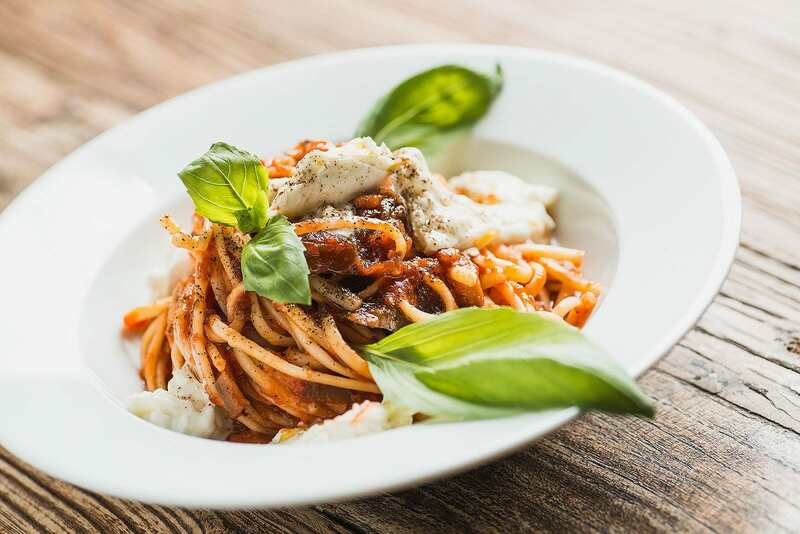 The lunch menu is continuously updated and consists of a main course and dessert. 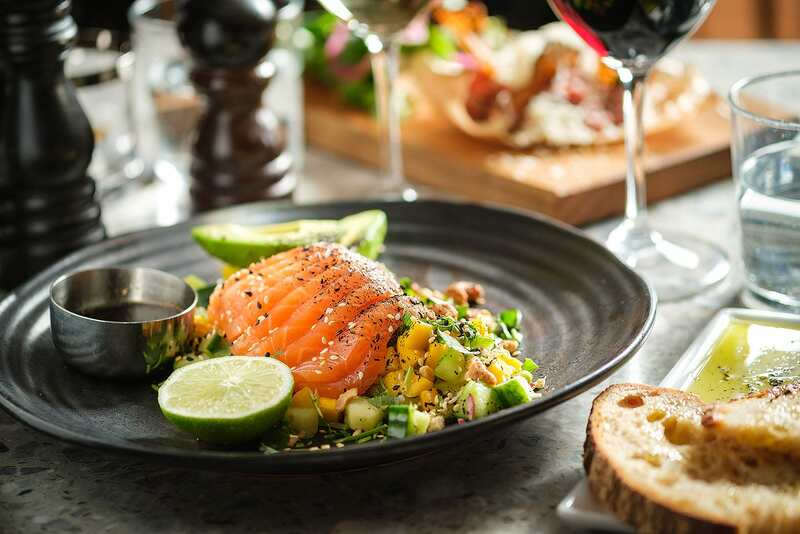 Swedish flavours dominate the dishes. 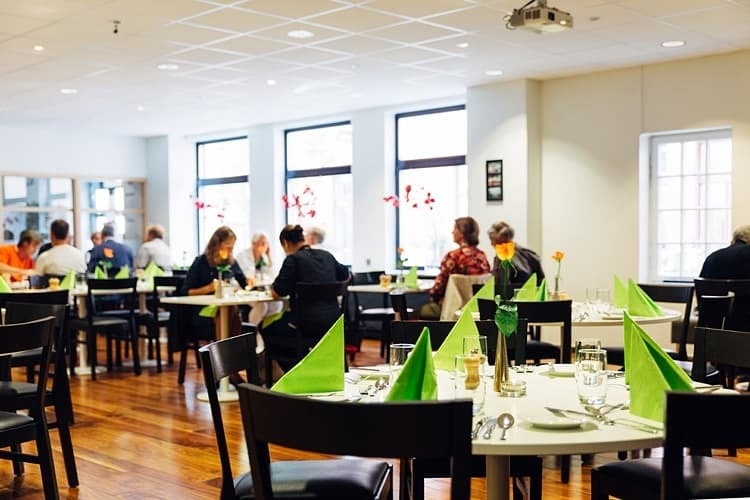 If you want value for your money, be sure not to miss this culinary school's three-course lunch menu for 100 SEK. A popular alternative, so be sure to make a reservation beforehand. Please note SIR is closed during school holidays and certain weekdays. 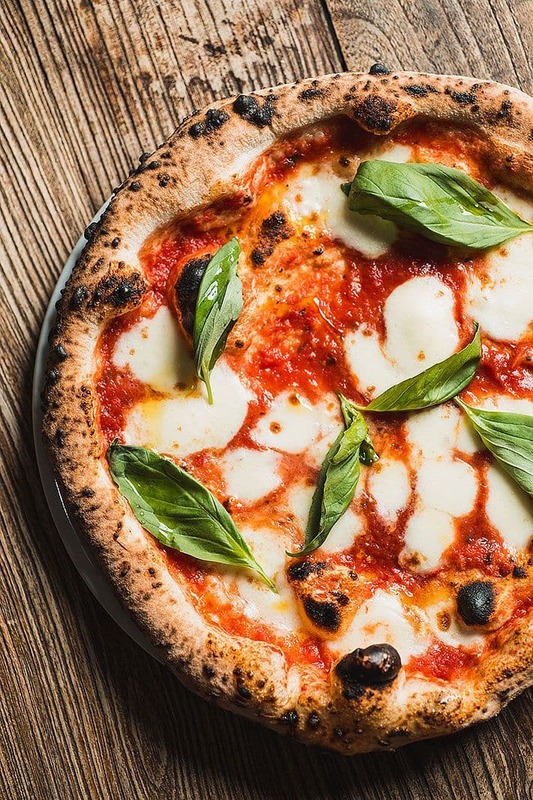 Are you craving a real Italian pizza made in a Neapolitan stone oven? 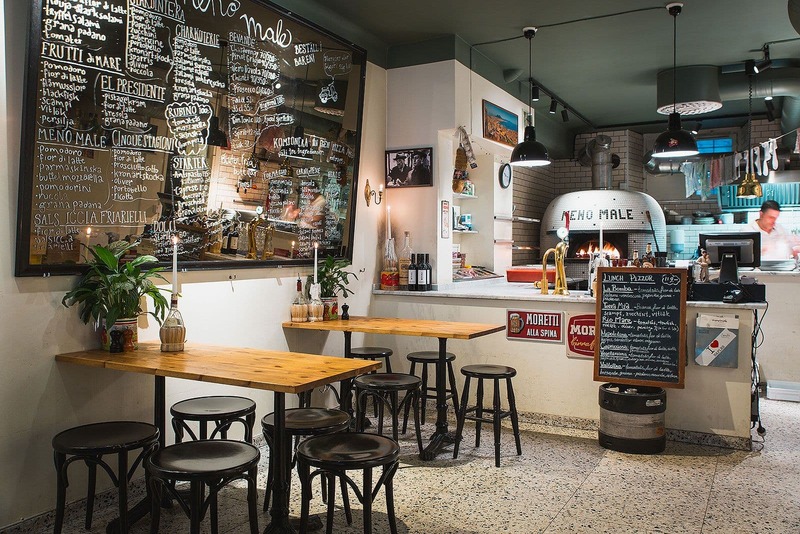 If you find yourself in Vasastan or Kungsholmen then you're in luck, as both Meno Male branches serve lunch pizzas at great prizes, or choose caprese if you feel like something lighter. 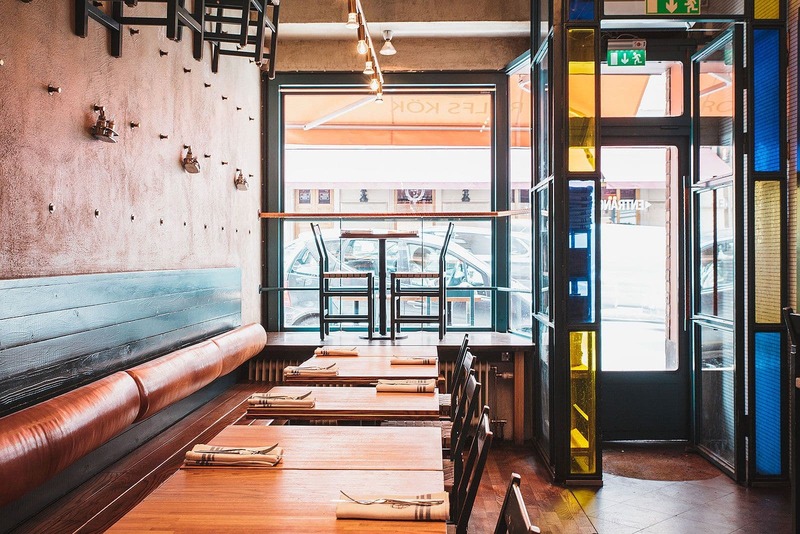 At Knut the northern Swedish influences are apparent in both the decor - with wooden surfaces and furs - and cuisine. 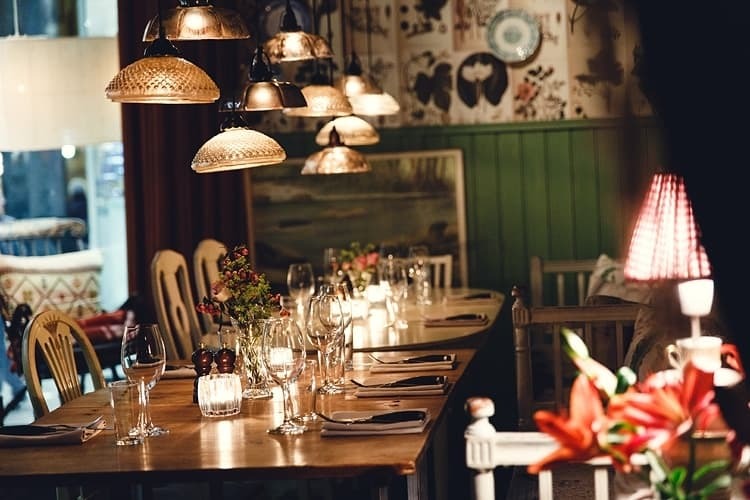 The rustic menu, features game, Norrland-style flatbread pizza, with emphasis on local produce and ingredients. If you're up for a boozy lunch, they make a mean cranberry cocktail. 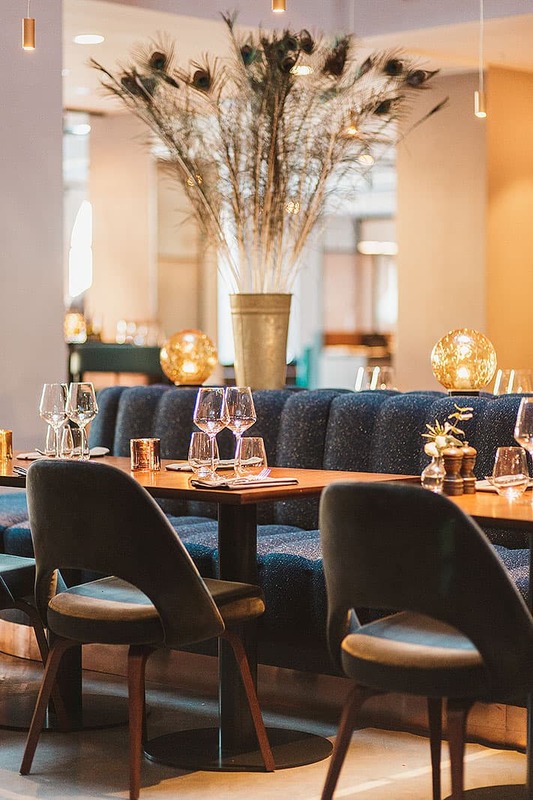 The classic Radisson Collection Strand Hotel Stockholm on Nybroviken has recently been given a new lease of life. 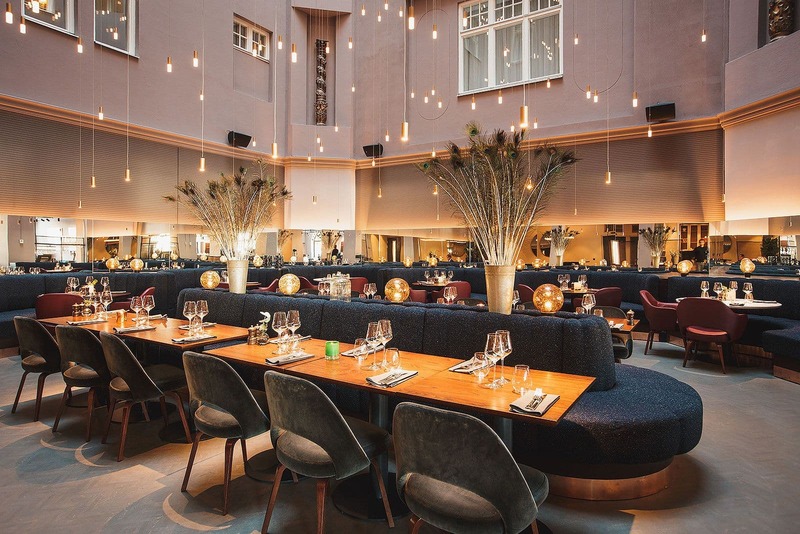 Their hotel restaurant, The Strand, has been designed by Wingårdhs architects and on the menu you'll find classic Swedish dishes with a twist, made from sustainable ingredients. 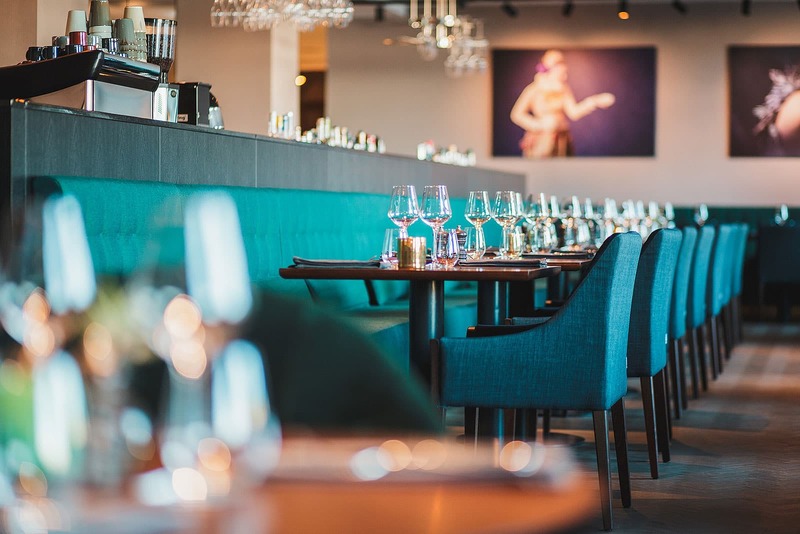 Eat lunch in the heart of the city with a view over the archipelago ferries. 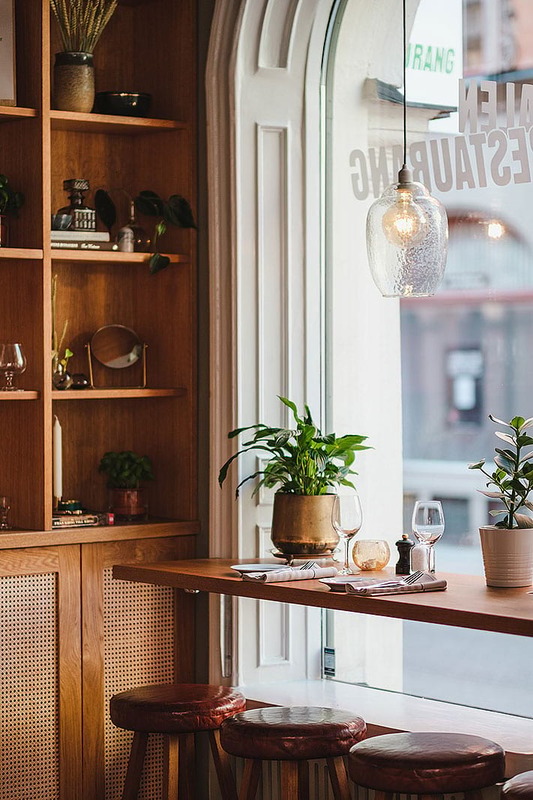 These two sister restaurants are real Stockholm favourites and they're open from breakfast until late evening. Perfect for a lively long lunch with friends or colleagues. 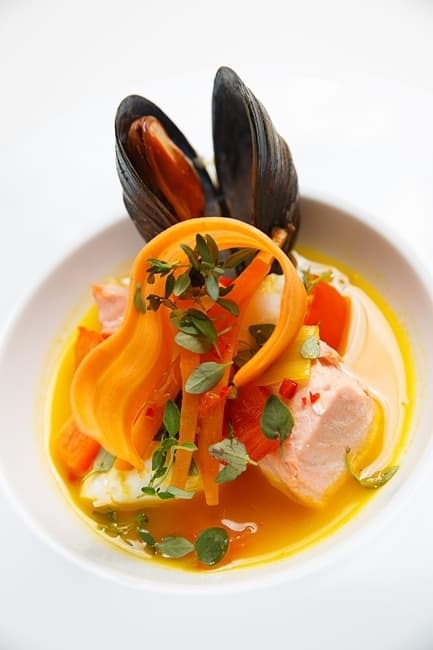 The menu has European influences - with an emphasis on classic meat and fish dishes. 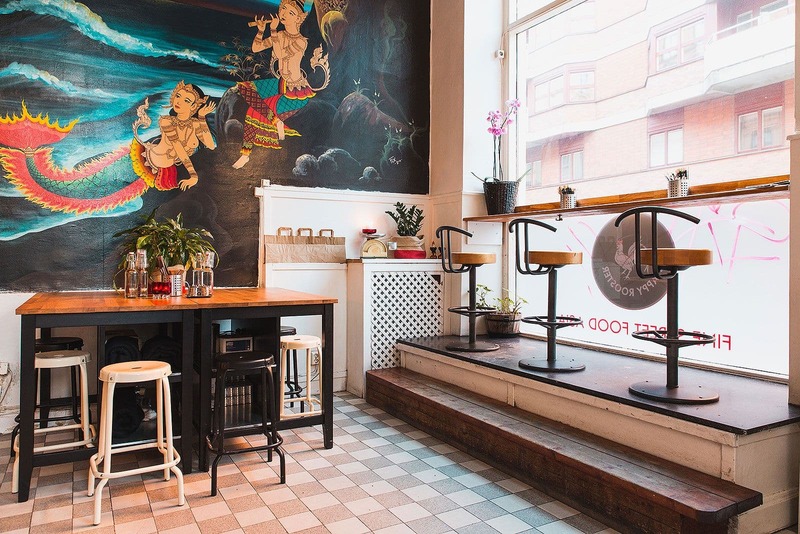 This ambitious little lunch restaurant a stone's throw from Drottninggatan serves "fine streetfood" with influences from Asia, made from organic and locally-produced ingredients. 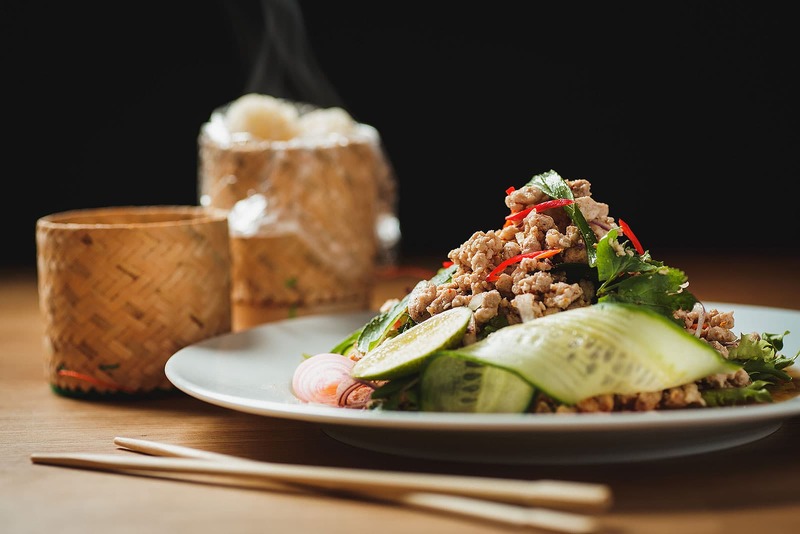 Depending on the day you'll find everything from salads to bibimbap and pad thai on the menu. Eat in or take away. 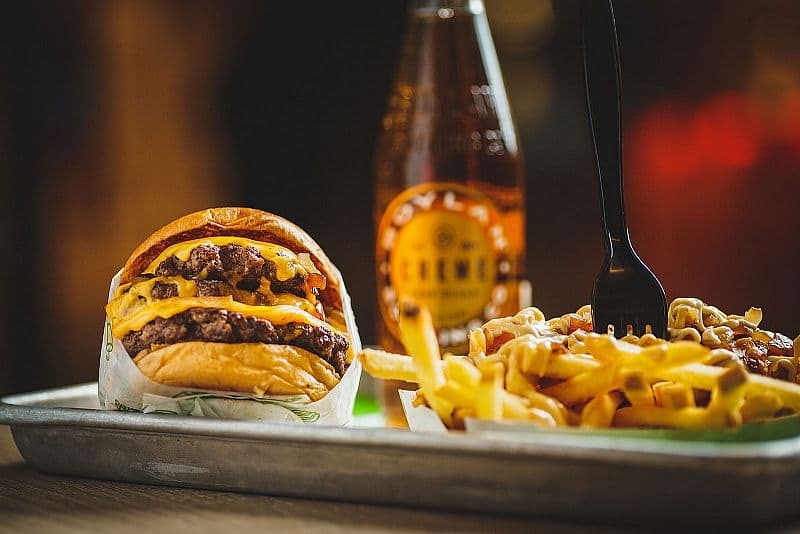 Stockholm boasts an abundance of quality burger joints. 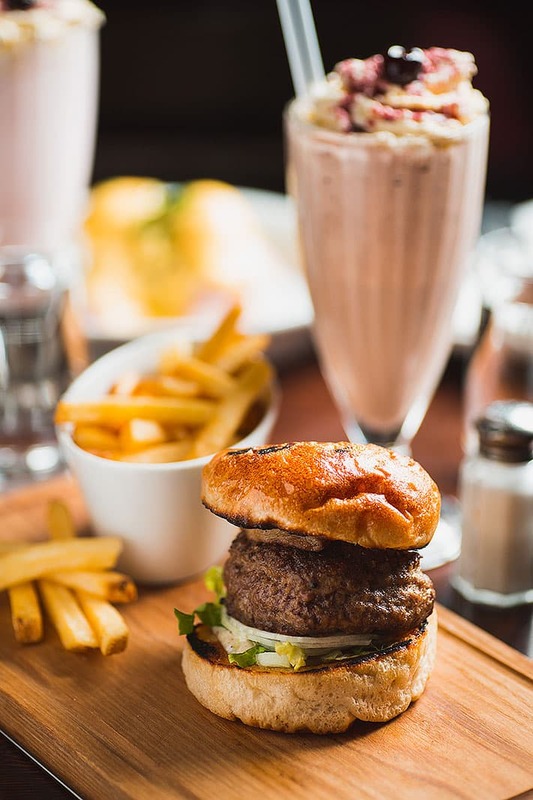 A burger for lunch is often a safe bet, particularly when everything from the meat patties to ketchup is homemade. 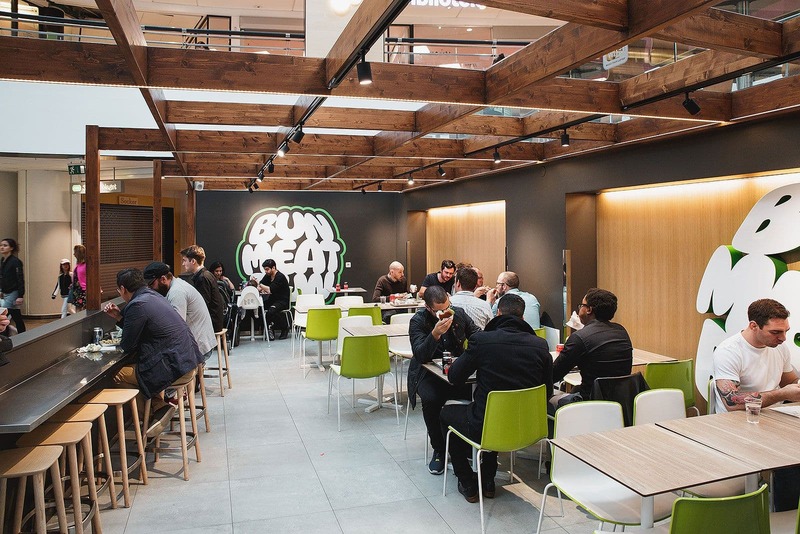 Most hamburger restaurants also offer vegetarian options. 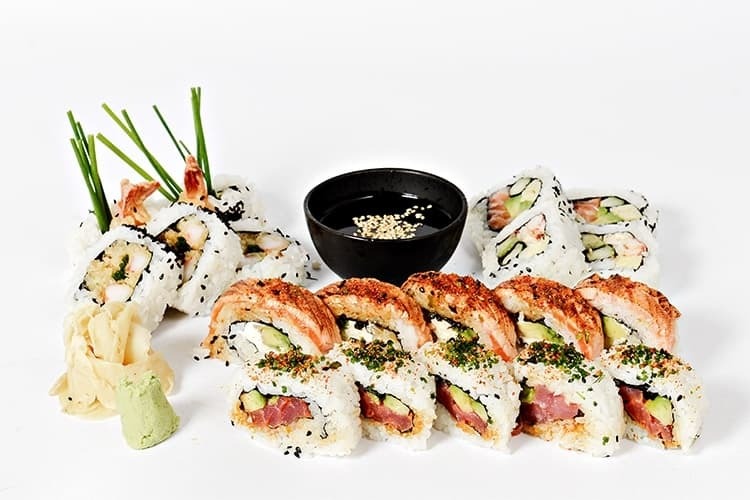 Sushi is a popular lunch option for its healthy accessibility. 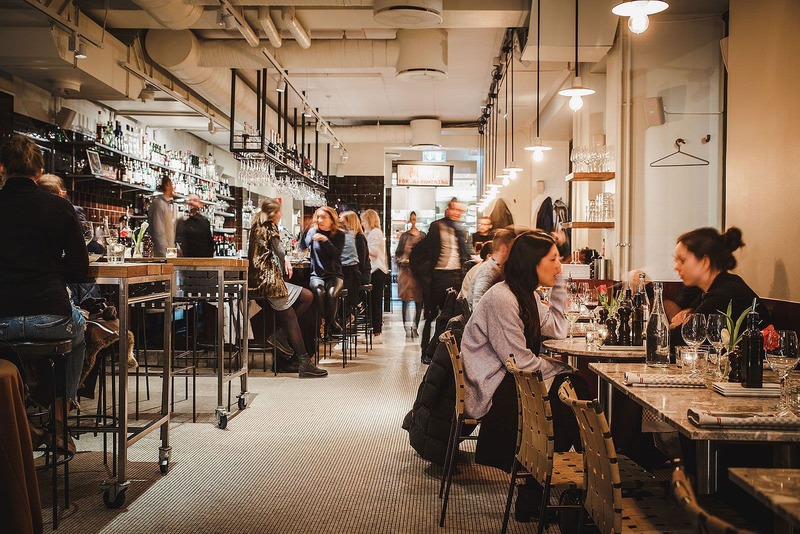 Stockholm hosts a number of great sushi restaurants located around the city. 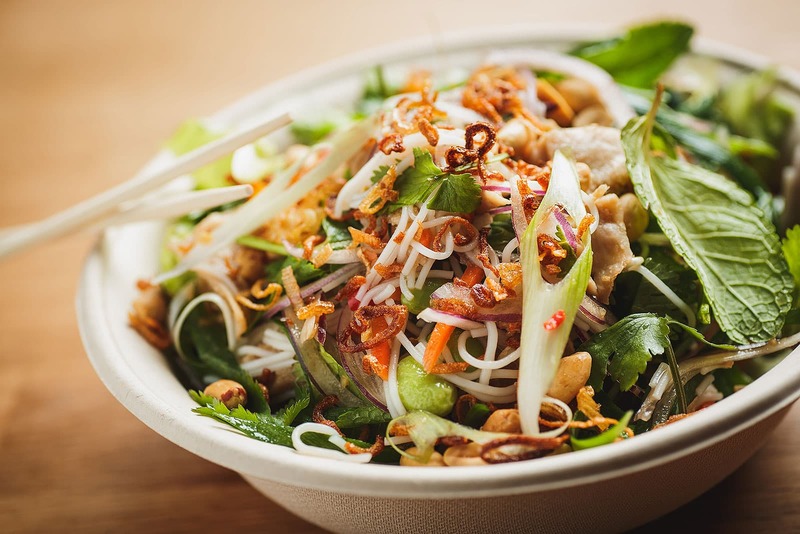 Perfect for a casual sit-down lunch or takeaway for lunch at the office. 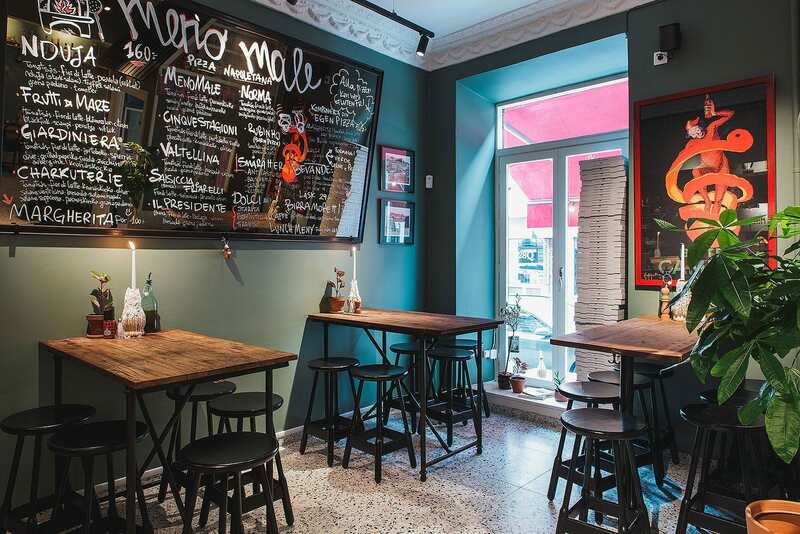 Our guide to the best lunch restaurants in Stockholm is updated continuously. 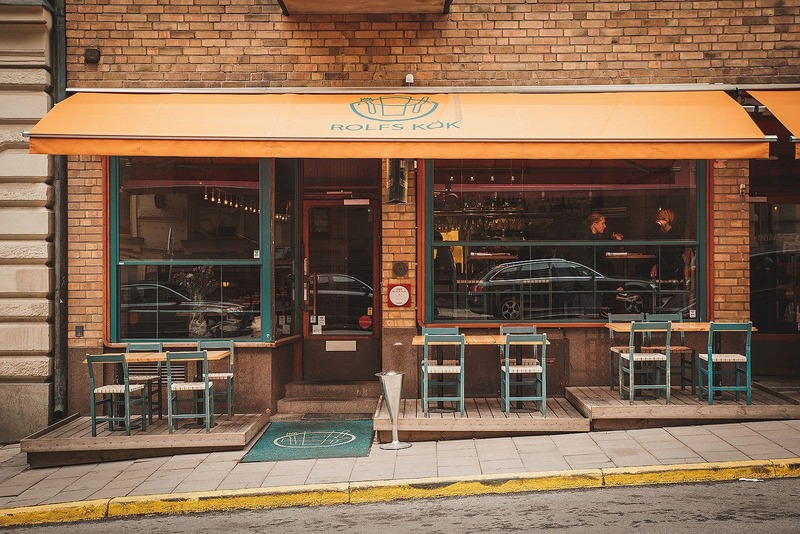 Feel free to email us at hello@thatsup.se if you feel that we should add a lunch restaurant in Stockholm to our guide. 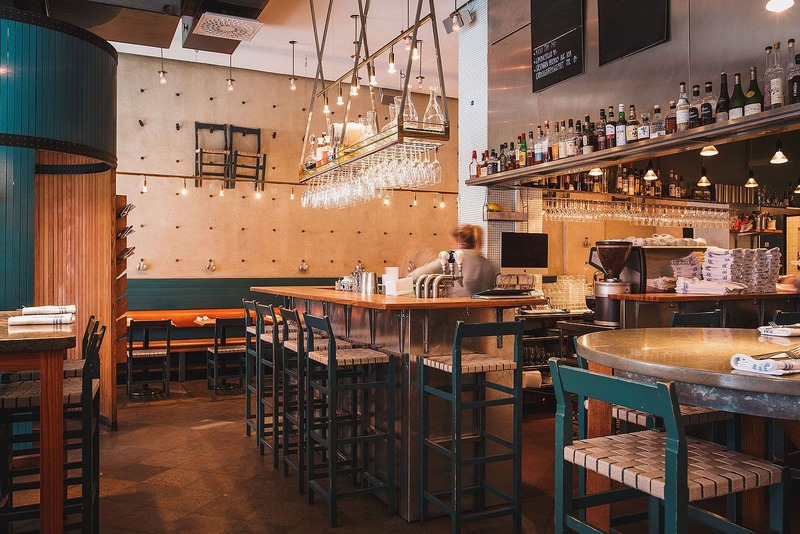 Please let us know if you see any mistakes in our guide to the best lunch restaurants in Stockholm. Otherwise enjoy your visit to restaurant of your choice.